Origin: First chartered in 1761, the town probably took its name from the hometown of early settlers from Canaan, Connecticut. Not all the grantees became permanent settlers, and a new charter was issued in 1769. According to the Canaan Historical Society, the first train passed through in November 1847 with Daniel Webster on board, and the railroad operations sparked rapid business growth in Canaan Village. Population Trends: Population change for Canaan totaled 2,380 over 52 years, from 1,507 in 1960 to 3,887 in 2012. The largest decennial percent change was a 28 percent increase, which occurred between 1960 and 1970, and also between 1970 and 1980. 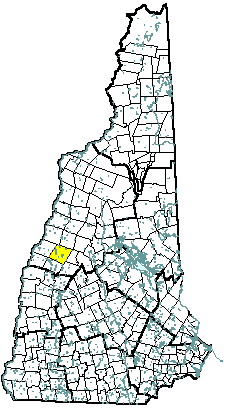 The 2012 Census estimate for Canaan was 3,887 residents, ranking 97th among New Hampshire's incorporated cities and towns. Population Density and Land Area, 2010 (US Census Bureau): 73.4 persons per square mile of land area. Canaan contains 53.3 square miles of land area and 1.8 square miles of inland water area.